Since its emergence from humble beginnings in New Haven, Kentucky, in 1955, Mouser Cabinetry has provided the highest quality custom cabinetry for over 50 years. Today, located in central Kentucky, Mouser Cabinetry is marketed throughout the eastern two-thirds of the United States through an expanding network of authorized displaying Dealers. Now, just as it was in the beginning, that same devotion to product quality and excellence has withstood the test of time to help create a product line for their customers that offers honest value and true quality. 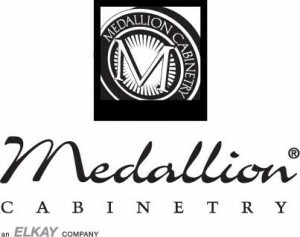 Every cabinet they manufacture is custom-crafted from the finest select woods, then is finished and protected with oven-cured catalyzed sealers and topcoat. Timeless designs and fine craftsmanship are characteristic trademarks that set Mouser Cabinetry apart from all others. With their cabinetry, dreams can be turned into reality by providing beautiful and functional accents to any home décor. Inset, Traditional, Country, English Country, Shaker and Contemporary door styles are available in Knotty Alder, Select Alder, Knotty Cherry, Select Cherry, Hickory, Maple, Red Oak, Pine and Quarter Sawn Oak. Their finish collection is a broad range of stains including Glaze Choice, Glacier Elect, Grain highlights and solid colors; not to mention, custom finishes to create a wide array of possibilities to enhance any décor. At Mouser Cabinetry, fine hand detailing is combined with state-of-the-art technology to produce superior cabinetry for any room in your home or office. Whether your plans include a new home or a home improvement remodeling project, they welcome the opportunity to create the design of your dreams and turn it into reality. Check out the Mouser Cabinets Videos. Check out the Mouser Cabinets Gallery.